Do you want to save planet Earth? Are you tired of being told you are not doing enough? Kwik Sweep, the number one waste removal and collection company in London, has put together a list of 10 tips to better your recycling. R, R, and R. Go for it! Reduce, reuse, and recycle. This is the one aphorism you should always keep in mind. 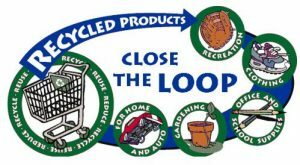 There are several steps you should think of before recycling – the most important are “reducing” (your consumption) and “reusing” (your belongings). So, reduce the amount you consume, and shift your consumption to well-designed products and services. Then, find constructive uses for your waste. If it’s broken … fix it! Do not replace it! Do it. It will only take you a few minutes. Reading up on the recycling rules for your area is important to make sure you do not send anything in that cannot be processed. In London, each borough has its own specifics, so try and follow your area’s guidelines as well as you can. Think about it. The essence of recycling is that of creating a cyclical movement of materials through the system. So, while you should send waste off to be recycled, you should also buy recycled, so as to guarantee the functioning of the circle. Are you a homeowner? You could rearrange your plumbing so that rainwater, as well as wastewater from you shower and tub, is used to flush your toilet. This will save thousands of litres of water. Biological nutrients are easy to recycle. At the end of their life, they can safely and readily decompose and return to the soil. Composting is one of the simplest, cheapest, and most effective ways of recycling. Give it a go! For all other waste-related needs, get in touch with us. Kwik Sweep is London’s most efficient waste removal and collection company. Our rates are competitive, and our services unbeatable. Kwik Sweep is the way.